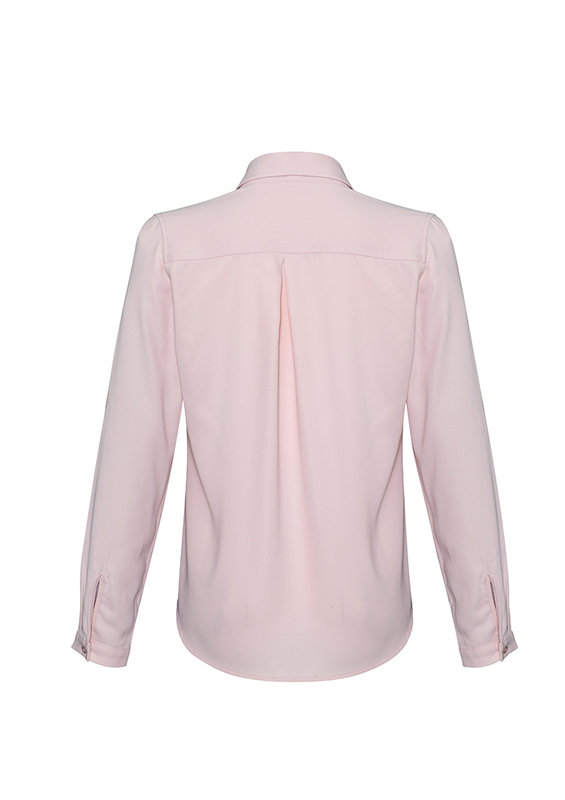 Give your business a bright lift for Autumn with the new "Blush Pink" uniforms available from Biz Collection. 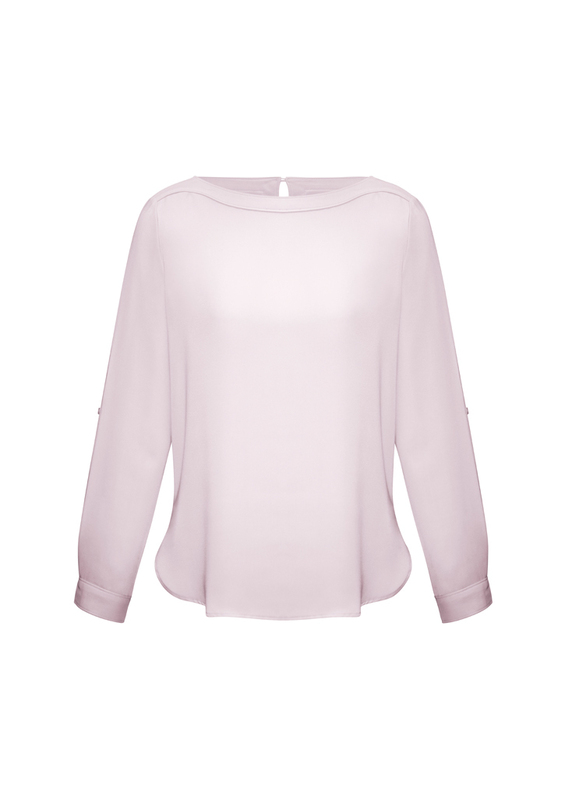 Featured on this page, a new style blouse to Biz Collection the Madison Blouse. The Madison Blouse has been a popular choice for the business and corporate uniforms. 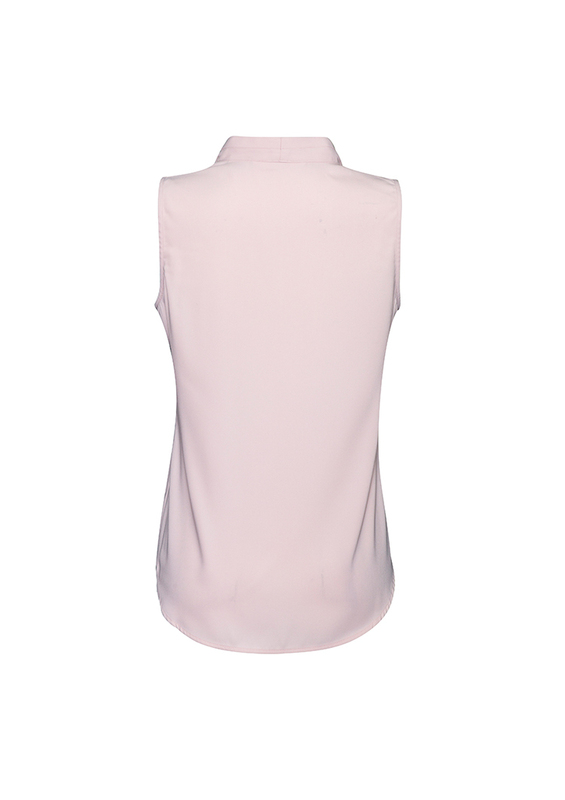 The Madison Blouse can be dressed up to suit the corporate wardrobe uniform or can be apart of your casual uniforms. Either way, give your workplace a bright lift in Autumn. Wear it sleeves down and tucked in for a streamlined office look, or roll up the sleeves and wear loosely out for a more contemporary cool style. Fuss free fabric keeping you comfortable all day long! Available now in Blush Pink, Ivory, Midnight Blue, Silver Mist, Midnight Blue and Black. Available in sizes 6-26. A finely stitched boatneck detail. The sleeves have a versatile roll up tab function. Longer inlength with shirt tail hem designed to be worn both out or tucked in. A flattering drape with wrinkle free polyester stretch fabric. Ladies Madison Boatneck Blouse S828LL - NEW! 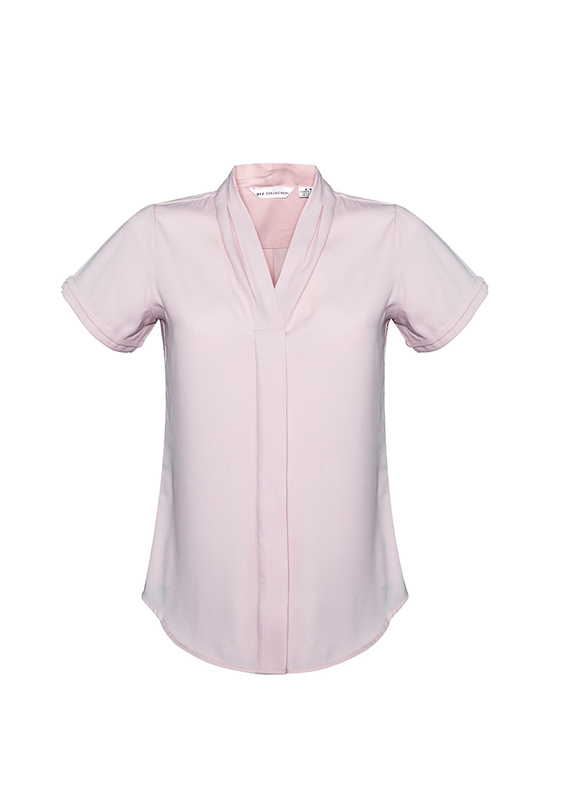 Elegant design details offer a fresh interpretation of the classic office blouse. Softly pleated shawl collar and concealed buttons discreetly elevates your professional appearance. Deigned with a functional action-back pleat for increased comfort in an active workplace. Fuss-free, low maintenance fabric is quick drying and requires minimal ironing! Mix and match with Biz Separates pants and Skirts. Looks great worn with Milano knitwear! 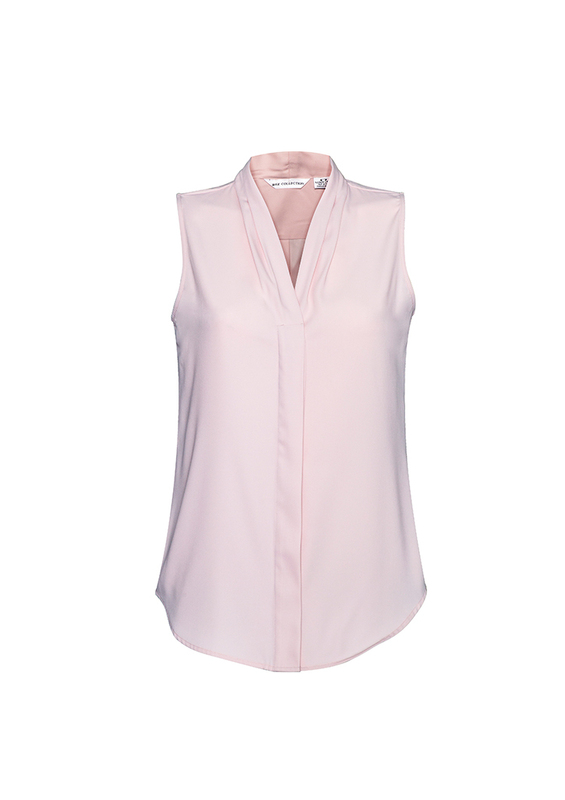 Elegant design details offer a fresh interpretation of the classic office blouse. Softly pleated shawl collar and concealed buttons discreetly elevates your professional appearance. Sleeveless design is perfect for warmer climates and allows ease of movement without gaping.Fuss-free, low maintenance fabric is quick drying and requires minimal ironing! Perfect for layering under knitwear or jacket in changeable weather. Looks great worn with Milano knitwear. Mix and match with Biz Separates pants and Skirts. Available now in Blush Pink, Ivory, Midnight Blue, Silver Mist, Midnight Blue and Black. Available in sizes 6-20. Goodgear are premier suppliers of Biz Collection Uniforms on the Central Coast. Biz Collection is one of our most popular ranges and includes all uniforms from Corporate and Business Central Coast uniforms, Workwear uniforms Central Coast, Hospitality Central Coast uniforms, Central Coast Health and Aged Care uniforms, Central Coast Sports Wear and Outerwear. Biz Collection cater for every industry for uniforms. Contact us today for samples or a uniform fitting for your team.